The title artwork is terrific. It looks like vintage science fiction covers. 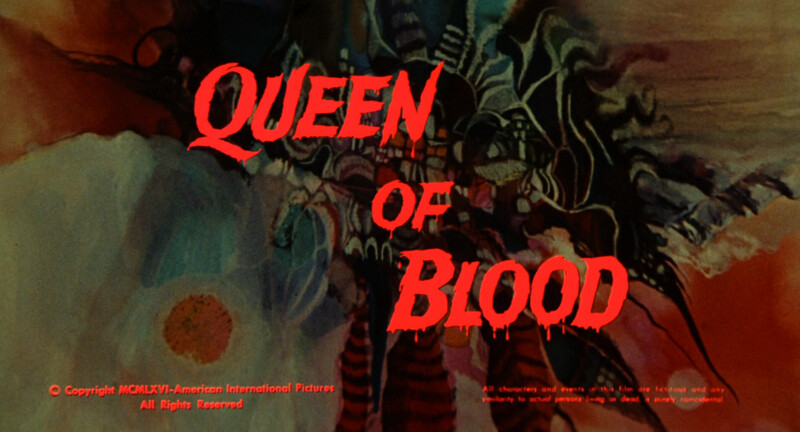 Queen of Blood is a patchwork movie, built around footage from at least two Russian films: Mechte navstrechu and Nebo zovyot . Roger Corman snapped up the U.S. rights to the films and gutted them to use for his own features. Nebo zovyot was mostly turned into Battle Beyond the Sun , while Mechte navstrechu became the basis for this one. Given this origin, it’s remarkable that the film actually works.